Years ago, not long after Captain Cavedweller and I wed, we decided to host his extended family for a Christmas Eve celebration. His Dad loves ice cream, so I found a recipe for a dessert that was frozen, featured ice cream and, best of all, looked really simple to make. After all, how can you mess up ice cream and pudding? I followed the recipe, pouring the concoction into a spring form pan, envisioning the look of pleased surprise on my father-in-law's face at this special treat. With no experience with a spring form pan, I didn’t make sure the bottom was secure before I lifted the pan to set the the dessert in the freezer. I picked it up and turned away from the counter heading toward the fridge when the bottom fell to the floor and I had a combination of cracker crust and runny, gooey filling all over the kitchen. It splashed so spectacularly, it dripped from the ceiling and oozed down the walls. The dog, who had quietly watched the proceedings, thought Santa arrived early and eagerly dashed around the kitchen lapping up all the sweet goodness she could before she was banished outside. Luckily, I had enough ingredients to start over and the dessert turned out beautifully. So I share it with you today – with a reminder to make sure your spring form pan is completely secure before you move this from counter to freezer. I like to place it on a cookie sheet and then there are absolutely no worries about spills! 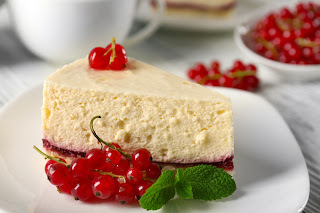 Where the name for this dessert comes from, I don’t know, but the wonderful thing about it is you can substitute any flavor of ice cream or pudding and have dozens of creamy, delicious combinations! Heat oven to 350 degrees. Mix graham cracker crumbs, butter and sugar. Press into bottom of spring form pan and bake for 7 minutes. Remove from oven and let cool completely before adding filling. Once crust is cool, mix cream cheese, pudding and milk. When thoroughly combined, mix in the ice cream. Pour filling on top of crust and freeze overnight or for several hours until firm. Garnish with toppings of your choice. •Vanilla pudding and butter toffee ice cream. Top with caramel sauce and bits of crushed Heath Bars before serving. • Vanilla pudding and Mint Chocolate Chip Ice Cream. Substitute chocolate cookies for graham crackers in the crust. Garnish with chocolate sauce, chocolate chips or sprigs of fresh mint and crushed peppermint candy. • Chocolate pudding and turtle ice cream. Top with dollops of whipped cream and a toasted pecan. • Pumpkin pudding and vanilla ice cream. Substitute gingersnaps for the graham crackers in the crust. Garnish with dollops of whipped cream and sprinkles of cinnamon. 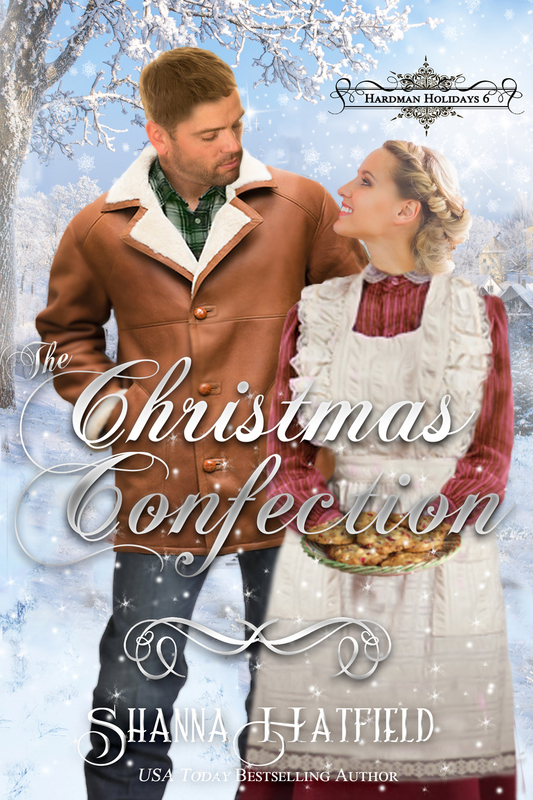 My latest release is a sweet historical romance about a baker who does her best to soften a hardened man's heart with her confections and warm heart. Make sure you enter this drawing for a chance to win a mystery box of Christmas goodies! Wonderful excerpt, Shanna, and your recipe is a keeper. Thanks so much! The recipe sounds awesome, Shanna! I can only imagine how long it took to clean all of that up, but it sounds like the dessert turned out spectacularly! I'm reading The Christmas Confection now and enjoying it very much. It was such a mess (made worse by the dog racing through it!). But it is a yummy dessert! Enjoy Fred and Elsa's story! 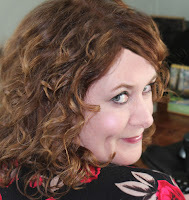 I love easy recipes and your stories.